MGM Tutoring brings you the most comprehensive and up-to-date information through books written by an experienced teacher. This is a workbook to enable you to pass the Core Academic Skills for Educators: Mathematics (5732). You can now use a calculator for this test but, of course, they have made it harder. Now you have to memorize a lot of formulas but, don’t worry, I will provide them all for you in this book. There are questions with multiple correct answers and there are questions where you have to fill in the blank. Samples of each type of question are included in the book. 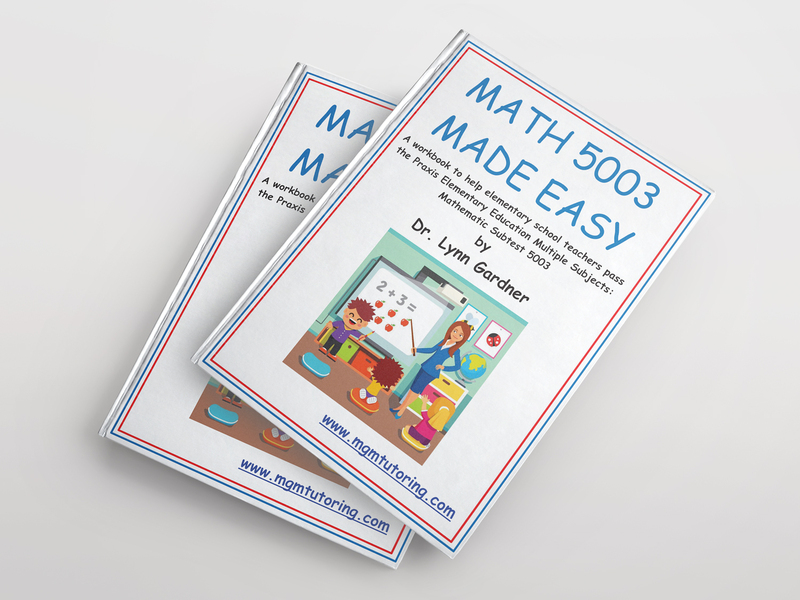 This book is designed to help elementary school teachers pass the Praxis math test #5003. It covers all the topics on the test and gives a lot of practice problems with explanations. Sample practice tests are also included. There are many new topics on the SAT & this workbook will help you understand the new problems (as well as the old) and … get them right! 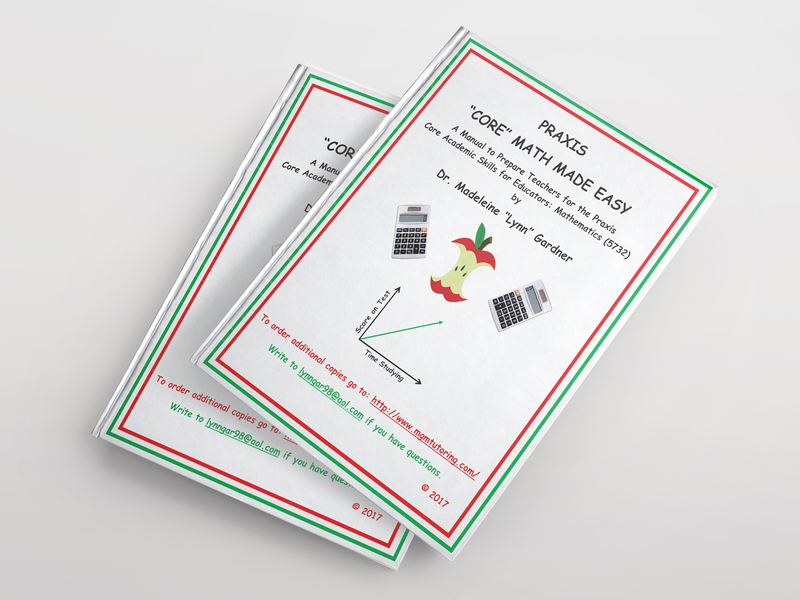 Dr. Gardner has 33 years of high school mathematics teaching experience. She has taught an SAT prep course for several years and has also tutored private students. 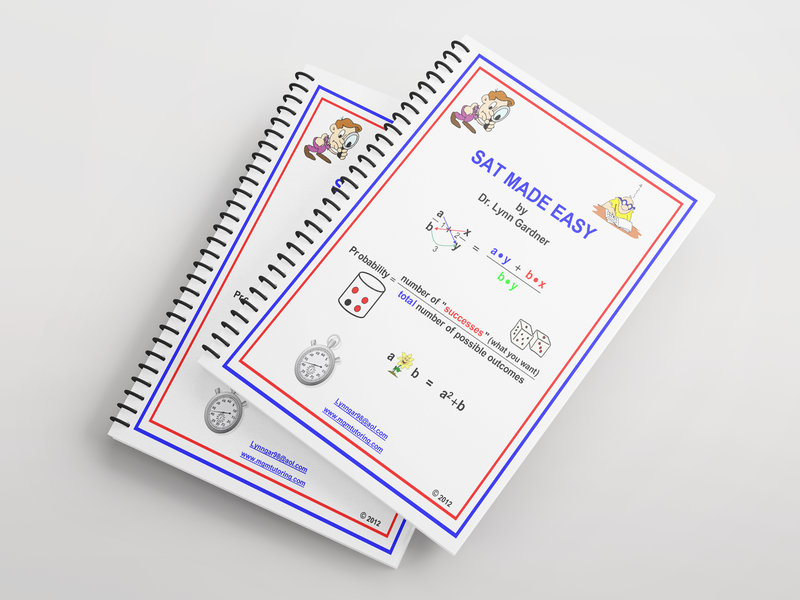 This workbook will show you shortcuts and many simple methods for solving difficult problems. Dr. Gardner writes in a very clear and humorous manner that will make this as painless as possible!